The official American Kennel Club breed standard probably contains many unfamiliar terms. 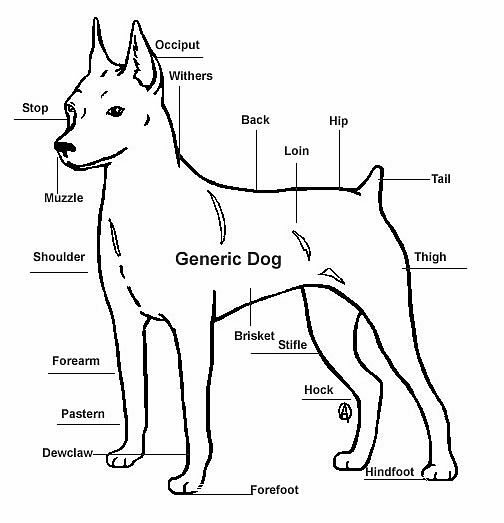 Here’s a dictionary of the most common ones illustrated with a graphic of a generic dog. Leather ear – Caused by fungus. Dogs have black shading and no hair on the ear or bridge of the nose. Tuckup – Shallow body depth at the loin; i.e., small-waisted.